Now you know where is Maldives located on the map. Let’s have a look at the islands of Maldives. Below is map of Kaafu Atoll which is just one of the 26 natural atolls in the country. More maps can be found on Maldives Map Org homepage. All the atoll maps have been updated in November 2016. If there is any island that we have missed it must be very few. If you know please do drop us a line with the name of island and we will check. More information will be added up to each page later on. For the moment we just wanted to have the maps upload with an introduction. 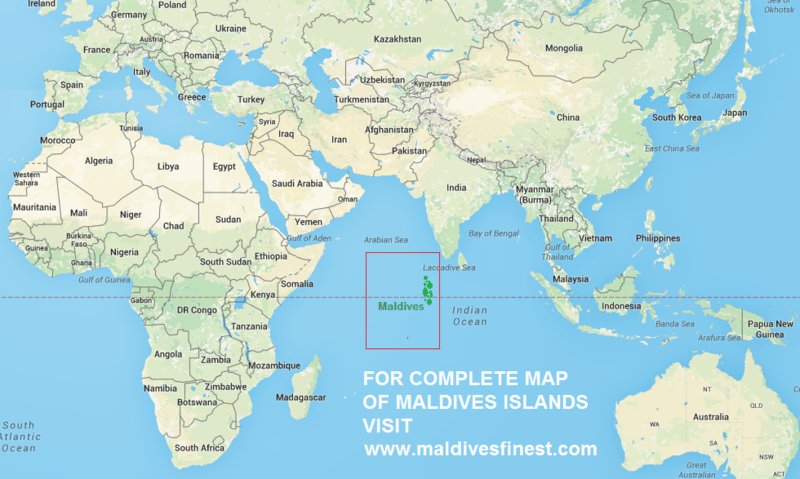 If you need more maps there is one that is very handy on Maldives Finest and it too is updated. Since that is a country map not all islands are labelled. To label display each island the map needs to be divided into sections to zoom in so that you could read island names, otherwise the font is too small. So, we have divided the whole country into atolls and each atoll is presented as a separate map. There are 1192 tiny coral islands in Maldives. These are only islands. What about the reefs? That is not even accounted in official resorts. So if you want to see everything on one page with island names written on the map the font will be really minute that it would appear like a line. Then when you zoom in the other islands are difficult to locate. It’s just too many islands. So, I found the best approach would be to split up into atolls. If you want to locate any island just google and get the atoll name, then pick that particular map. It would not take long before you find the particular island. Now, you have an enriching experience. You have located the island. You can see near by resorts, local island, airports and even uninhabited islands. All the island come in green colour. Even on atoll level map some islands are too tiny to really appear like an actual island. So, there are many green dots on the map, these are actually islands. For example, this is Kaafu Atoll. You can see there are many shapes that look like island but they are not in green colour. This means these are not islands but reefs or lagoons. These are particularly important for sea journeys. Also if you are visiting Maldives for holiday and you are keen diver, a handy map could help you find locations to ponder. Popular dive sites have names. If all the reefs were labelled on this map it would have made it very difficult to filter out the islands and text might overlap in several places. In order to prevent that from happening and to keep this map simple clean the concentration was given to minimize the labels as much possible. Our family went on holiday to the Maldives from the southern state of Kerala (Trivandrum) for one solid week. What an utterly Dream week that was! Snorkeling, treasure diving, exploring the waters of the deep blue Indian Ocean and on and on and on. Some of the activities were planned and scheduled, others on the spur of the moment. This is the stuff that beautiful dreams are made of, absolutely consuming in an extremely immersive way. Isolated from the rest of the world for a week we completely relaxed and so much so we had to readjust to the confines of it on the rebound. Un believable solitude and something that renders you senselessly indifferent to all else. The seafood was at the pinnacle of all other food I’d ever consumed and uniquely special. Some of it was prepared/crafted skillfully with an Indian flair I couldn’t begin to describe. Immensely enjoyable holiday on a whole different level. Cheers! Very pleased to read through your wonderful experience in the Maldives. Thanks you for visiting here and taking time to write about your stay. 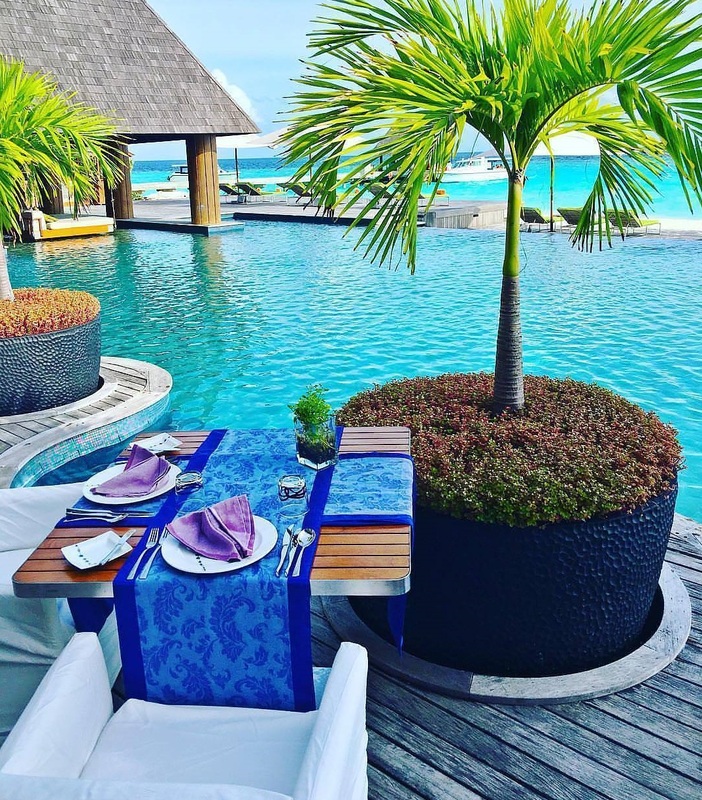 Knowing what guests really experienced in Maldives helps everyone in the industry to perform better and make guests happier. Thank you. Hi, sorry for the late reply. Your comment went unnoticed because of spam. Are you still planning holiday? Do check out maldivesfinest.com and its forum, there is a lot of helpful info.